Want to benefit more from peak sales periods? Or make core category areas even more pertinent to customers? Article by Darren Phillips in Business Development, Marketing. 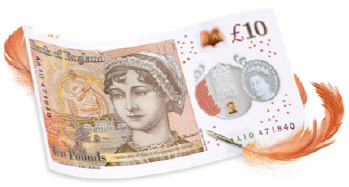 Can you handle the new tenner? Article by Darren Phillips in Facilities Supplies. From office and factory workers to schoolchildren and healthcare professionals, when the heat is on, working or studying can be a challenge for anyone. Article by Darren Phillips in Marketing. Article by Stuart Bleese in Technology. Article by Darren Phillips in Office Products. Combating technology fraud could be one of the most important resolutions for businesses in 2017. With the longest day of the year a distant memory from the summer gone by, the number of hours of natural light coming into our workspaces and homes is rapidly reducing with the onset of winter around the corner. As the business supplies world knows, the catalogue is more than an ordering tool. Article by Darren Phillips in Furniture.